Things are definitely looking up for teacher unions, especially in California. Membership losses were less than feared after the U.S. Supreme Court’s Janus ruling. A wave of teacher strikes led to settlements with more funding. The 2018 elections went well, with a friendly governor and superintendent of public instruction taking office. The Los Angeles school board could soon have a pro-union majority. Support from the media and the public continues unabated. The general attitude among teacher unions is to “strike” while the iron is hot, so to speak. The situation couldn’t be more ideal to lock in items on their wish list. Some of these goals might seem to be ideologically driven — limits on charter schools, for example. But behind them all is the determination to divert as many streams of revenue as possible to traditional, unionized public schools. While school district administrators and teacher unions were at each other’s throats during strikes in Oakland and Los Angeles, they were of one mind regarding what needs to happen next. “We cannot fix decades of underinvestment in education with a single contract,” said Oakland Superintendent Kyla Johnson-Trammell. “We spent every nickel we have in the classrooms. We have to go out and find more nickels,” said Los Angeles Superintendent Austin Beutner. When the public sector wants to find more nickels, it has only one place to look: the private sector. 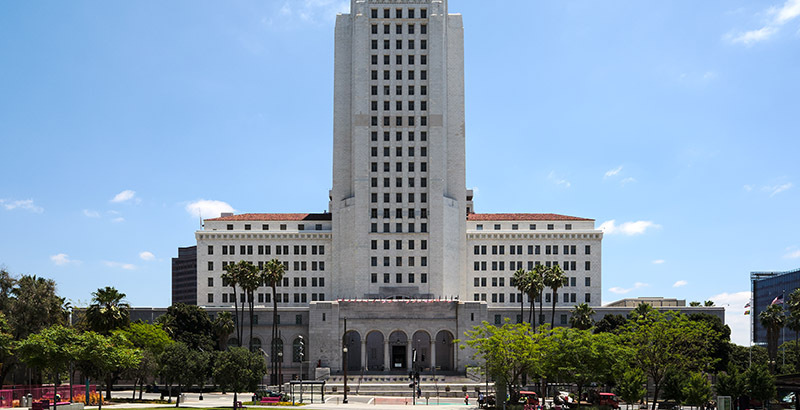 The first probe will be the proposed parcel tax in Los Angeles. Scheduled for the June ballot, it would levy a 16-cents-per-square-foot tax on habitable structures within the school district boundary. A 1,500-square-foot home would generate $240 in revenue annually, regardless of home value. The district hopes to raise $500 million a year from the tax. There are multiple factors at play that will determine whether it passes. The measure requires a two-thirds majority, a steep hill to climb. Homeowners without children in school are usually reluctant to raise their own taxes. On the other hand, the residences of homeowners 65 and older will be exempt, possibly neutralizing a source of opposition. Renters may see the measure as a tax on someone else, solidifying support. One argument we heard repeated during both the Los Angeles and Oakland teacher strikes is that the cost of living in both areas is so high that teachers cannot afford to live in the districts in which they work. This may be an effective way to solicit pay increases for teachers, but it will be counterproductive for a parcel tax that will raise the cost of owning a home in the district. It is also inevitable that the increased costs will be passed on to renters as well. It is easier to believe that untapped resources exist in California to cover all costs and fulfill all desires, rather than face the uncomfortable truth that resources are finite while desires are infinite. No matter how hard we wish for it, there is no funding deus ex machina to cover the obligations our representatives are making.